In previous articles, we saw there are three semiconductors in the transistor. Either two P-type and one N-type or two N-type and one p-type. 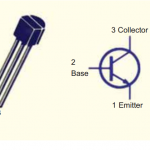 In an NPN transistor or PNP transistor, there are three regions of the transistor. In the transistor, there is the difference in the width of the region. In previous, we saw the construction of PNP and NPN transistor construction. We saw all the terminals of both types of transistor. In PNP and NPN transistor, collector region has more width than other two regions and base region is thin region. So we have a question why base of the is thin and lightly doped? Why the base of transistor is thin and lightly doped? Answer: Think transistor as a switch, between emitter and collector, base as a switch key. As per transistor operation, we know emitter current is the total of collector current and base current. Conductivity is increase with an increase in doping. So if we highly doped base region so more current passing to base terminal. So output current ( collector current ) is reduced. Because of this reason base is lightly doped. Thus, more current passing to the collector side or an output side. Also, we know only 5 % of emitter current transfer to base and 95 % current passing to the collector. Base region doping of the transistor is one of the major factors in deciding the amplification. If the doping in the base region will br high than recombination rate also will be high in the base region, if recombination rate is high than base current will also be more, But for amplification, we need base current as small as possible. 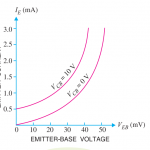 That’s why in all the methods we always reduce the base current like less doping of the base region, the high resistance value of base resister and high beta value. Now why the base region is thin? As per above, we saw base is lightly doped. The width of the region depends upon their doping. The base region is lightly doped so that width of the base is less. Collector region of a transistor is highly doped so collector region has more width than other two. Hope you understand clearly why the base is lightly doped in bjt or in the transistor. For good amplification process, we required less base current and more collector current So we try to reduce base current by less doping of base region. Thus, the base region is thin and lightly doped region. If you have any query and suggestion related to this article feel free to comment below. Thanks for giving us your valuable time.